Although the dark grain character is prominent, porter is fundamentally a balanced beer. The dark grains used in brewing a porter take center stage, but all of your ingredients are important. The idea you sometimes hear that lots of dark grains will cover up for small imperfections in a dark beer is, in my opinion, false. It takes just as much skill and attention to brew a quality dark beer as it does to brew a quality pale beer. 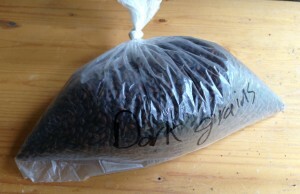 Dark grains usually comprise around 7 to 12% of a porter’s grist, and were discussed in a previous post. 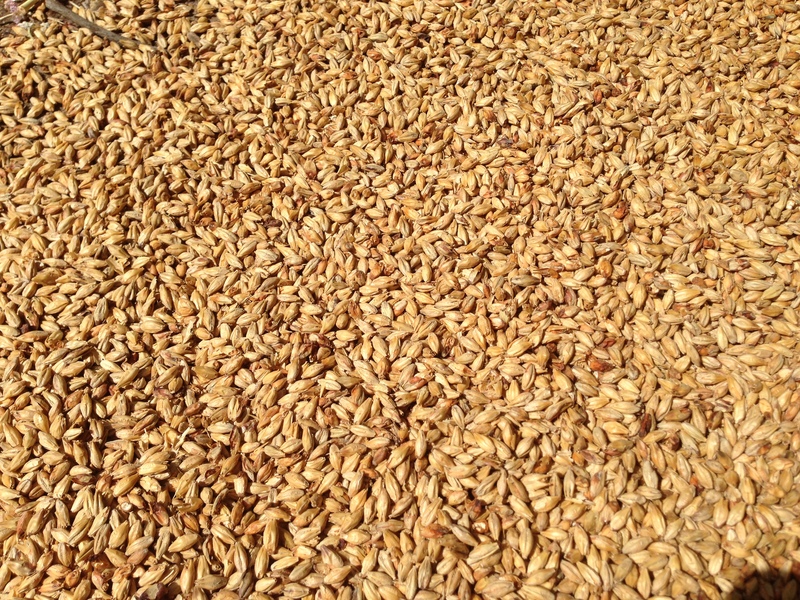 The remainder of the grain bill is usually pale malt and crystal malt, and perhaps one other malt (two at the most). 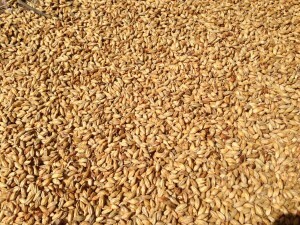 Almost any pale malt will work in a porter, but my favorite base malt is English pale ale malt. Pale ale malt is kilned slightly darker (~ 3 °L) than most pale malts (~2 °L) and adds a hint more base malt flavor. Sometimes, a portion of Munich malt or Vienna malt may be added to make the beer maltier. Munich malt is generally added such that it occupies about 10–20% of the grain bill. For extract brewers, formulating the recipe as a partial mash and using some base malts in the partial mash will greatly improve the aroma of your beer. Munich malt (at around 10–20%) can add a nice malty note to a porter. Crystal malt — often roughly 10% crystal malt 60 °L, or other crystal malts in the middle of the color range — supplies some caramel flavor as well and a bit of body to the beer. Specialty grains such as Victory or biscuit may be added for a slight biscuit note. Likewise aromatic or melanoidin may be added to give their characteristic notes. Using too much of any specialty malt besides crystal malt can distract from the basic flavors of roast malts and caramel. If you do use them, keep the amount low enough that their flavor is secondary to the basic porter malt profile. Finally, if you’re brewing a porter inspired by historical porters, add some brown malt (about 10%) to your formulation. Brown malt is more common in brown porters than robust porters, but don’t let that distinction stop you from formulating the beer you want. Most homebrewers brew their porters as all-malt beers. However, you can add small amounts of adjuncts to dry the beer out. You can also add molasses or brown sugar to add a hint of flavor. Keeping adjuncts under 10% of the fermentables is a good rule of thumb. You have a lot of choices when it comes to hopping a porter. If you want to go the traditional route, English hops would be the way to go. However, if you think a hop variety would work well, try it. I like using Northern Brewer because I think it’s slight “minty” quality meshes well with the chocolate flavors in porter. Bitterness in a porter can range from mild to assertive, with brown porters being more lightly hopped in comparison to robust porters. (The BJCP give the 20-30 IBUs as the range for a brown porter, 22–35 IBUs for a robust porter.) Late hopping can add some hop aroma, but you shouldn’t add so much that it overshadows the roast aromas. Keeping your late hop additions under 1.0 oz. (28 g) per 5.0 gallons (19 L) is a good rule of thumb. English ale yeast strains are the most common choice for fermenting a porter, especially those that are in the brown porter vein. However, clean ale strains (or even lager yeast) can be used for American-style porters, especially robust porters. When choosing a yeast strain (and deciding on pitching rate), think about how estery you want the beer to be. Also, some yeast strains accentuate malt while others accentuate hops; choose the appropriate strain based on your target. 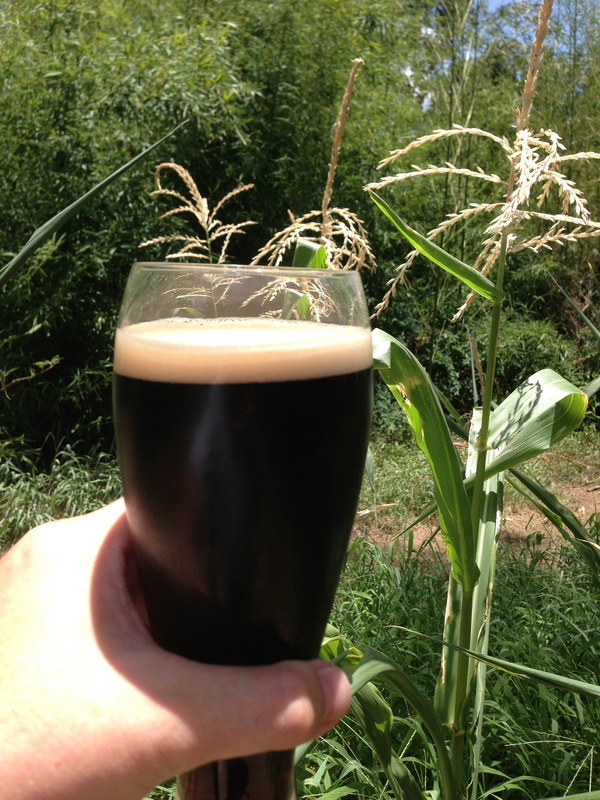 Dark grains are important, but every ingredient in a porter should be there for a reason. 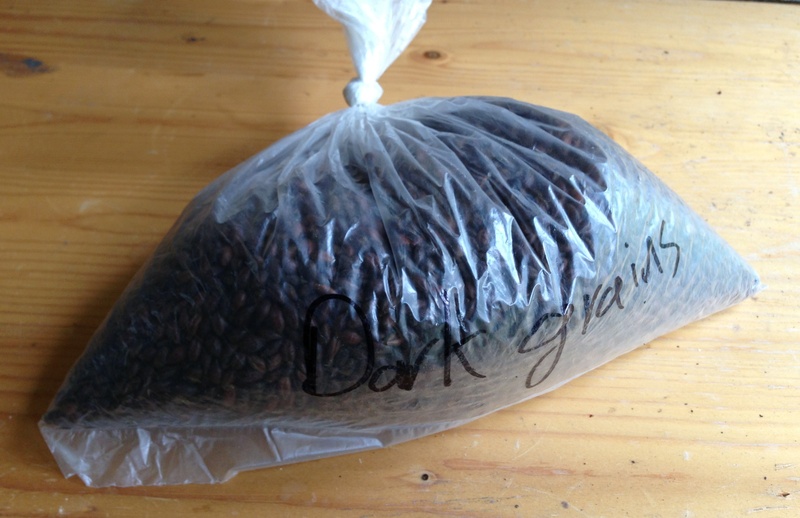 When formulating your porter recipe, your main decision is what kind of dark grain character do you want. Your remaining recipe decisions should accentuate this and produce a balanced beer. Don’t be cowed by the distinction between brown porter and robust porter — feel free to formulate an “in-the-middle” porter or one that is a hybrid of the two styles if that’s what you want. Use a quality base malt for a good foundation for the beer. Add enough crystal malt to get some nice caramel flavor and a moderate amount of body. Add enough hops, especially in porters with a more aggressive dark malt character, to complement the dark grain bitterness. You can use your yeast strain selection and fermentation temperature to make the porter have either an English or American character. Aim for moderate body and carbonation and you should have a very drinkable porter. As one example of a porter, I would give my Colby House Porter. I’ve brewed this about 30 times and really like it. I recently brewed a chocolate oatmeal stout. In reference to the hops. This is the second dark beer I’ve brewed with large amounts of hops. What I’ve found is that other than a distinct spiciness and bitterness there wasn’t really any hop character. No matter how much I use. In this choc oatmeal stout I used 3 oz of continuous addition of magnum. 3 oz cascade (1oz @10 min, 1oz @ 5, then 1oz in the no chill container). Aroma and flavor-wise it was immediately noticeable. Although depending I the results of the IPA experiment I may change the chemical additions to see what happens. My guess is that your boil pH was lower than normal due to the dark grains. This would result in lower hop utilization. If you have a pH meter, check both your mash pH and your boil pH (after you have been boiling for about 15 minutes). If either is too low (and boil pH should usually be 5.0-5.2), that may be your problem. Oops. Stupid auto correct. I meant “was not immediately noticeable”.